Overall, women have to endure an endless cycle of insanity, bloating, and emotional meltdowns thanks to the presence of the cyclical network of hormones, those valuable chemicals that keep both the female and male bodies in check. However, many years after the onset of puberty and the height of fertility, women begin to enter yet another unpredictable state in their lives, perhaps one of the most painful experiences they will ever have: menopause. Once a woman leaves her state of fertility and begins to lost hormones, she enters a tailspin of overflowing emotions and physical distress as her body undergoes rapid-fire changes. During the crux of menopause, women will begin to feel overwhelmingly tired or might not be able to sleep properly, leading to some ladies to try self-medicating through sleeping pills or relaxants. Add to that the stress of a job, caring for a sick family member or worrying about your daughter’s married life, and you can easily see why many women will attempt to find alternative forms of relief. Unfortunately, for many women, this can mean a direct turn to the pill bottle or the wine glass. However, keep in mind that, in this completely unbalanced hormonal state, women are more vulnerable to substances like alcohol (particularly their minds). Let’s take a closer look at why drug addiction and alcoholism can jumpstart at the onset of menopause. Menopause is a natural process that takes place when a woman’s periods stop and she can no longer conceive a child. However, keep in mind that a woman has only reached this point when she has not experienced any menstrual bleeding (or spotting) for a minimum of 12 months. Typically, perimenopause (the time when a woman is transitioning into menopause) occurs when a woman reaches her 40s and will last for a minimum of 4 years. During this time, a woman may begin to experience a range of symptoms including hot flashes, insomnia, irregular periods, and hormone imbalances (proven through a hormone test conducted by a physician). Once menopause officially sets in, a woman is at a higher risk for developing underlying health problems due to a sudden drop in estrogen and progesterone. One issue that can set in as a result of menopause is osteoporosis, a condition where bones begin to thin and become brittle. Needless to say, this is not an easy time for women, so imagine how difficult the situation can become if alcohol and drugs are brought into the picture. According to Dr. Karen Deighan (chair of obstetrics and gynecology at Loyola University’s Gottlieb Memorial Hospital in Maywood, Illinois), women may turn to alcohol or drugs in an attempt to cope with underlying conditions like insomnia, fatigue, or anxiety. 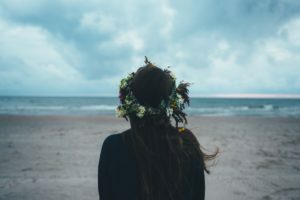 Ultimately, however, she emphasizes how previous problems with alcohol or drug addiction can ultimately resurface during the onset of menopause, whether or not a woman has received invaluable drug and alcohol rehabilitation. In fact, the National Institute of Mental Health (NIMH) records that one-third of people who are enduring a mental problem (specifically depression and anxiety) will suffer from substance abuse of some sort. When these individuals cannot find the medication that works, they will attempt to self-medicate, which can produce disastrous consequences. Fortunately, the link between menopause and worsening addiction is relatively slim, according to Dr. Scott Krakower (assistant professor at the Hofstra North Shore-LIJ School of Medicine, North Shore LIJ Health System psychiatrist). All women undergo severe emotional distress and experience great distress during menopause. However, portions of ladies will still attempt to confront their alcohol abuse, drug abuse, or addiction problems during this period. Based on a report from the National Institute on Drug Abuse (NIDA), addiction (of any sort) will increase your chances of terrible problems like cancer, strokes, respiratory problems, heart disease, hepatitis (B and C), and particularly upsetting mental disorders. Likewise, NIDA reports that people who consume these dangerous substances will exhibit compulsive, sometimes harmful behavior. So you can imagine, with the onslaught of hormones rushing through her body, how severe an experience a menopausal woman will have as a result of addiction. Obviously, there are a variety of paths a woman can take to seek drug and alcohol rehabilitation. The only question is “where doe she start?” Ultimately, if you are a menopausal woman suffering from severe addiction to a type of drug or are enduring terrible bouts of alcoholism, you should always find a treatment center to help you endure withdrawal and rehabilitation. However, as you are undergoing treatment, there are ways you can cope with the terrible side effects of withdrawal and detox. For many women, adopting a more health-conscious lifestyle (including a regular workout routine and nutritious diet) will help them become more confident and much stronger. Likewise, as you are suffering through the effects of menopause, be sure to contact your doctor about ways to cope with your irregular hormone levels. By following these steps (and more), you or your loved one will be one step closer on the path to drug and alcohol rehabilitation. At The Recover, we fully understand how difficult the treatment process can be for drug addicts through our daily work to help these individuals overcome this terrible, painful disease. Although many people believe they can overcome their problems without help, residential rehabilitation treatment programs are still an essential step on the road to recovery. Although the path to health and happiness might not be an easy one to take, you can finally enter the threshold to freedom with the help of a loving, supporting team. Additional aspects like counseling and psychological care can ensure you address underlying psychological issues that ultimately led you to become an addict. From here, you can build an infrastructure that will help you live your life with entering relapse, all with the help of a solid residential rehabilitation treatment program.